This book cover. This is exactly the kind of thing I wanted to do when I got into illustration. As the young kids say, I can't even. 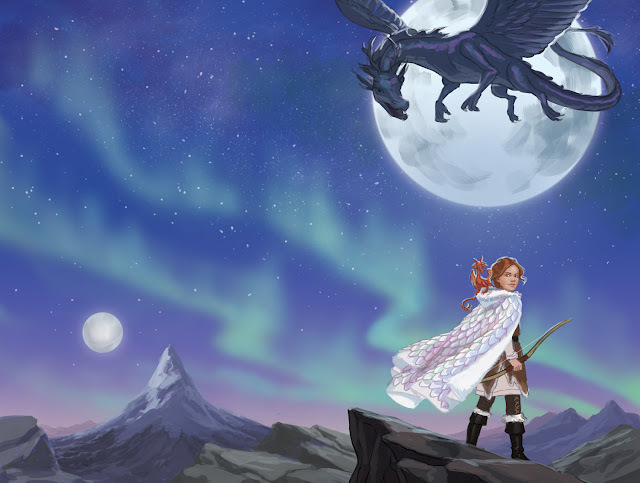 When Ellen Duda over at MacMillan offered me the chance to illustrate the cover for a book about a princess who is also a dragon hunter, I couldn't type YES fast enough! 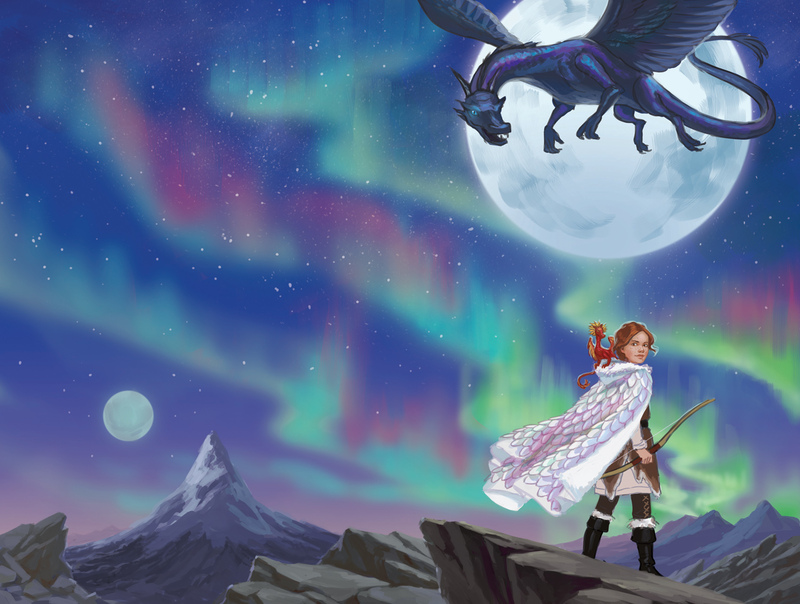 Ellen sent over a few ideas, involving the main character, her sidekicks, dragons, and the Northern Lights. 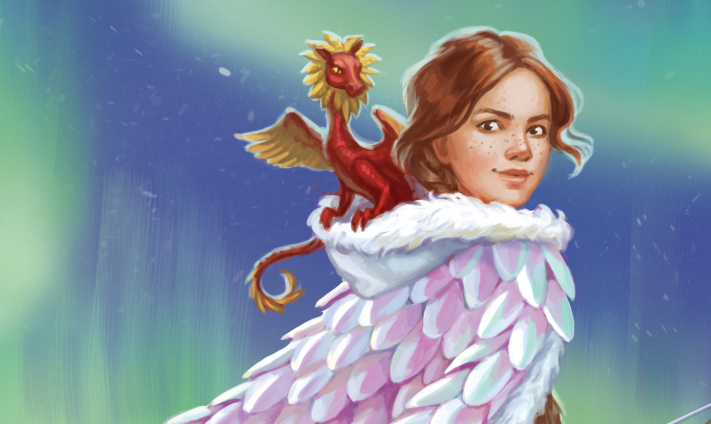 The main character, Princess Toli, is an archer who wears a dragon scale cloak and carries a baby dragon on her shoulder. 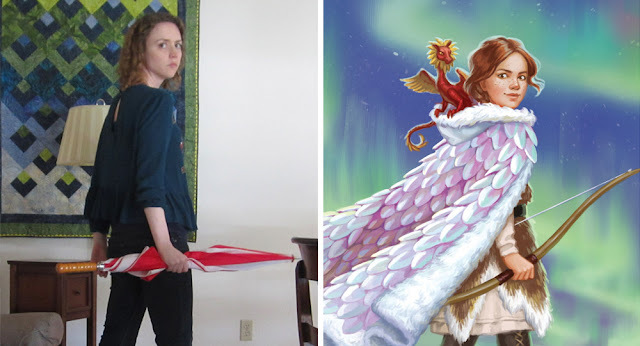 She also included a link to the author's Pinterest inspiration board, which was a first for me. Also, the illustration needed to be "wraparound," which means that it covers the front, back and spine of the book. It sounded like the team was open to ideas, so I created five roughs with variations on all the elements listed. 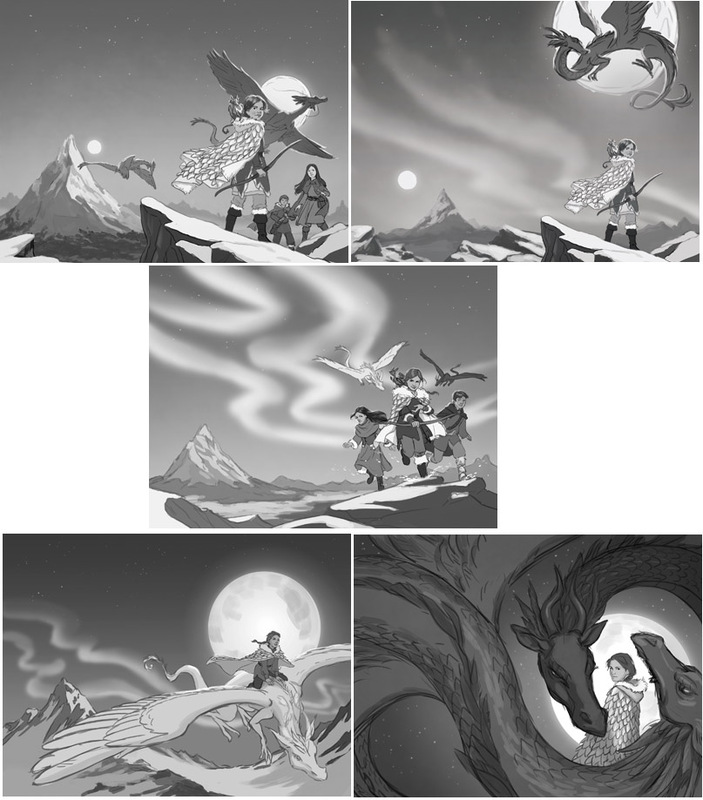 The team chose the second rough, and asked me to make a few changes. The biggest was that the dragon's anatomy needed to be beefed up. Although I've drawn a lot of dragons, I've always tended to prefer the snake-like Asian-style dragons, the ones that look like ribbons curling through the air. This was my first time trying to draw a more European-style dragon. I created a "Dragons" Pinterest board and started pinning photos of storks, lizards and bats to it, as well as other people's dragon paintings for inspiration. After reviewing my color rough, the team asked for brighter, more colorful Northern Lights. They also asked me to beef up the dragon a bit more. "Make him hella swole," they definitely said. From there we were good to go. I love, love, love the text design that Ellen Duda created. It just really pops straight off of the computer screen and into your eyeballs. Ellen told me, "the author LOVES the cover. Her exact words were 'I LOVE EVERYTHING ABOUT THIS!'" Which really meant a lot to me. At the time that I was finishing this up, the fantasy art community was in an uproar over author Terry Goodkind. He had publicly trashed the cover for his latest novel, calling it "laughably bad," and inviting all his fans on Facebook to insult it as well. While all of us fantasy artists were discussing the incredible unprofessionalism of this behavior, I think a few of us were also secretly wondering if, at some point, our art had disappointed authors as well. I know how incredibly important books are to their authors, and I would feel really bad if they ever felt they had received a bad cover from me. So I was very, very touched and gratified to hear that the author, Gabrielle Byrne, was happy with her cover. So happy, in fact, that she ordered two prints from me - one for each of her daughters' rooms! 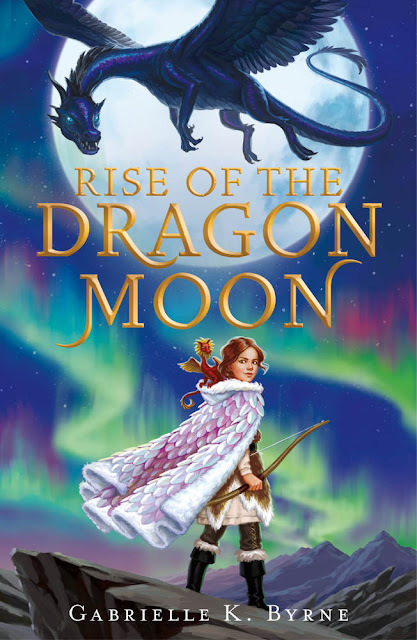 Rise of the Dragon Moon comes out August 2019. I can't wait to read it! Congratulations! Your parents must be very proud of you. "Hella swole"? Is that English? This is such a cool cover! Heck yes I would be overjoyed as well it, and it came out so awesome! 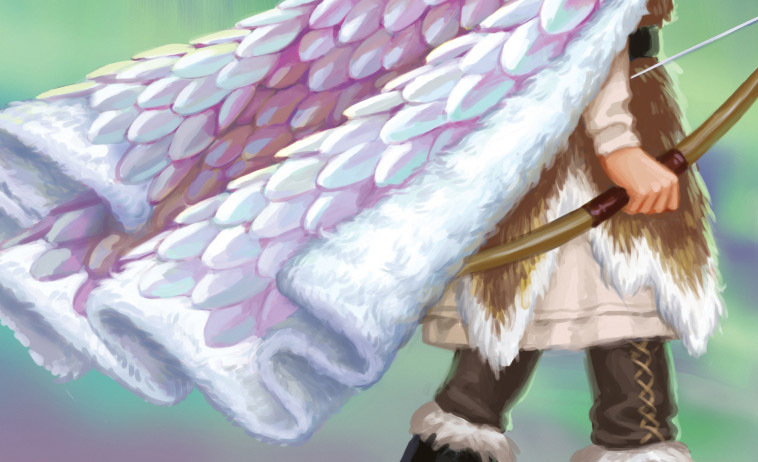 I love the scaled coat and how you rendered it. I do love some of your other rough draft/concepts as well, the bottom two in particular. What a great piece!